I received a discount on this item in exchange for a review. I have said it before – I love picking out gifts for people. Lots of thought and research goes into the process. Seeing how happy my peoples are when they open their gifts brings me such joy. I’ve always struggled to find gifts for my Dad. What do you give men who gives everything he has and asks for nothing in return? The answer is something personal. As Mini has gotten older, she has had more of a say in what her Dad gets for Father’s Day. 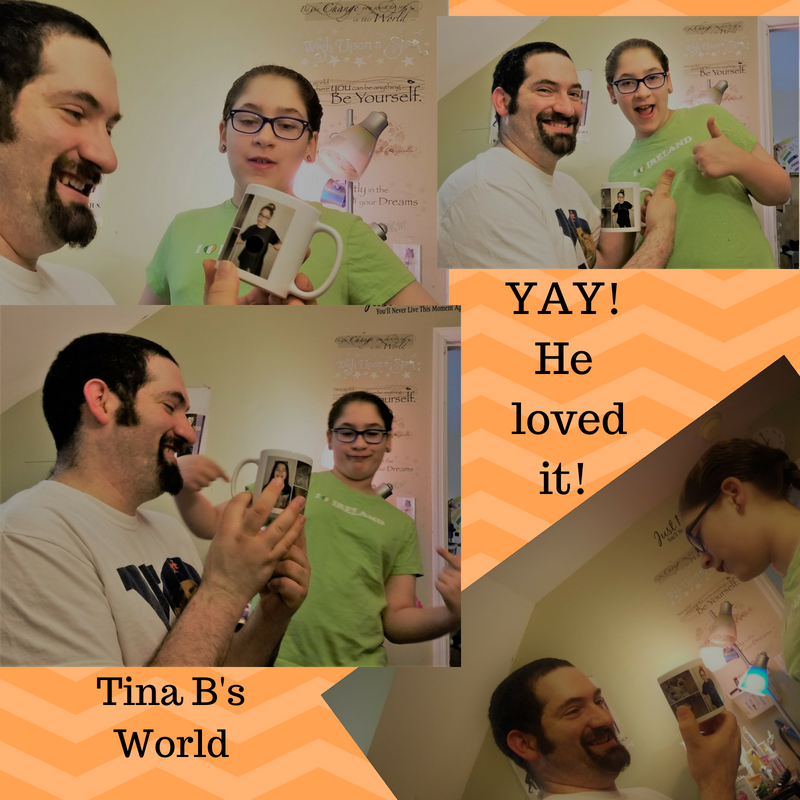 When I showed her the personalized mug, she was just as happy as I was! For the purpose of this post, someone got their Father’s Day gift early. 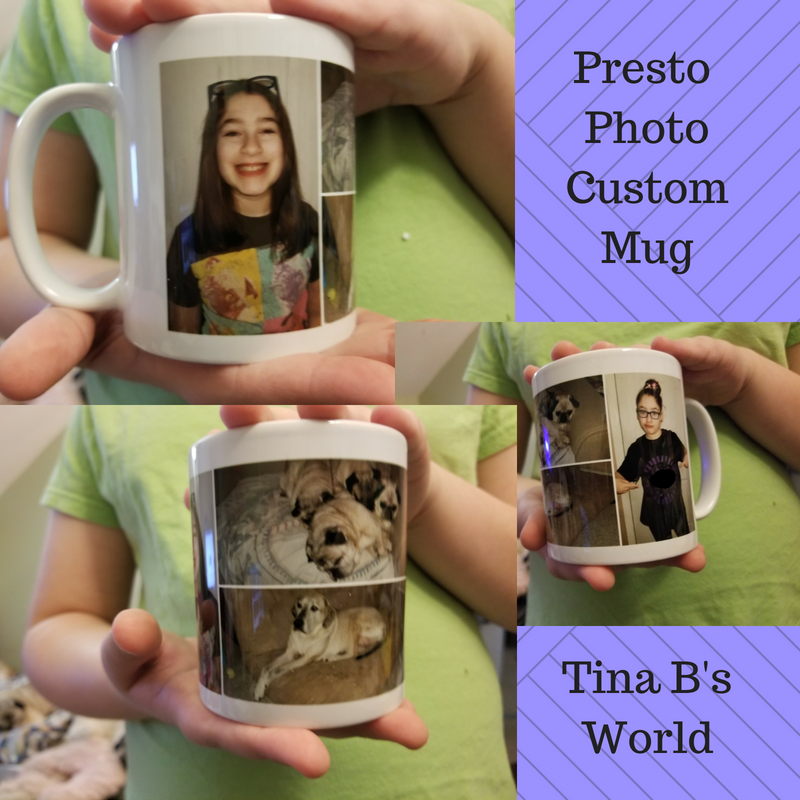 Mini picked out two of her fave pics of herself (okay, I picked one) and we also used some pics of our furkids. He’s already used it a few times. It’s his new fave mug. 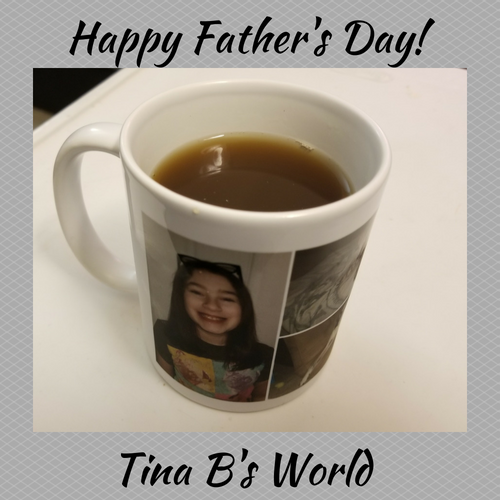 Happy Muggin and Father’s Day! « Time to Groom the Doggies!